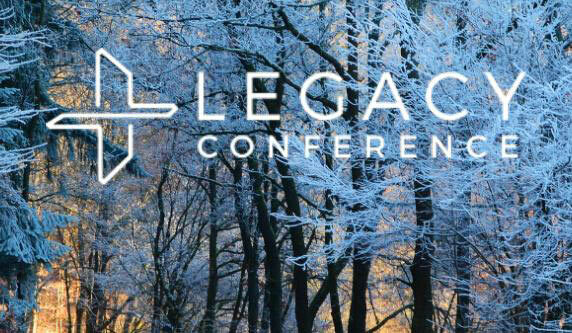 January 18-20 (2019) saw 120 people from Canada, the United States, and Mexico converge in Minnesota for the 2019 young professionals’ Legacy Conference on Navigating Your Twenties. It is a span of life that is challenging because so many things change so many times: friends, family, career, housemates, and debt levels. It is also the case that many of the most important decisions one will ever make are made in these years and they can affect the rest of one’s life. We are about to launch a podcast – a weekly, twenty-minute show – on the subject of doing outreach to those in their twenties, young professionals as they are often called. Travis: These are not the easiest years in life. Everything important seems to be in a state of flux. It is when students transition to “adulting” and eventually reach adulthood. Mike, you have covered that a lot in this newsletter. What can we expect to hear in the podcasts? Mike: What we will discuss - and by ‘we’ I mean a variety of people who are working in this space - we will discuss this newly emerging stage of life, the opportunities it provides for presenting the gospel, and how we can do that. Travis: Is this stage of life just trend, or is this here to stay? Many young professionals feel the older generation sees this extended transition as a problem that needs to be fixed. instability. The higher stress level is real but it also creates a great opening for the gospel. Travis: The people who will be listening to these podcasts are people who want to do mission. They are people who want to pass on their faith to their peers. They are eager to get started. Mike: Yes. And anywhere you have two or three who want to start a Young Professionals Outreach you have it half-started already. You have a team! point is that you start where you are! And you start by doing something. But that ties into the other big obstacle to starting a YPO: fear of failure. It is funny how powerful the fear of failure is. The mere potential of experiencing that bad feeling keeps people from acting and that guarantees failure! Whoops! Travis: Why do you think this is an opportunity, or as we often say, an open door for mission? Mike: Many people at this age lack a stable foundation for what they believe. They grew up with a post -modern worldview. They accept the utter inconsistency in their thinking, but they don’t like it. Most still want a worldview that works rather than accepting confusion. is a great opportunity for the gospel of love and truth. Travis: Can you give us a preview of what things will be covered in the upcoming podcasts? Mike: We’ll have two main kinds of podcasts. One will be “the news”. There is a lot going on in different places. We will cover what’s working in Kansas City, what’s new in Lansing, what’s challenging in Columbus and what’s starting in Seattle. Second we will do training on things like developing ‘a genius for friendship’, creating a winning environment or helping people take the next step further up and further in. Life is busy, as we all know, but these great podcasts can be listened to on the way to work or when doing you laundry. Youth struggle with the desire to fit into the culture of the world around them, especially when that culture speaks strongly but wrongly. Helping youth to see the truth amid a flood of lies is not easy. Sometimes the “naked” Scripture says it best. When we fail to obey God, the consequences lead from bad to worse. Michael Shaughnessy is the Kairos director for the Sword of the Spirit both in North America and Internationally. He is the editor of the Kairos Youth Culture Newsletter. Kairos is an international federation of outreaches to high school, university and post university aged people.